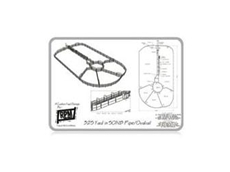 RPM's Econo yard panels are extremely suitable fencing for horse round yards or small-scale livestock operations. Ready made and custom made yard systems that are useful for cattle yards, holding yards, permanent yards, portable yards and sheep yards. Super Steel Australia provide Steel, Oval Rails, Merchant Bars, Pipe Services, Sheet, Rural Products and Fencing. RPM Rural Products is Australia's leading provider of innovative livestock products and supplies. The company specialises in cattle crushes, gates, yard systems, cradles, fences and other items. RPM Rural Products. The brand for the man on the land. 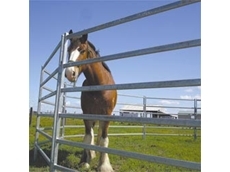 19/02/10 - M & M Stockyards and Steel Fabrication's standard cattle yard panels are available are available in a range of styles and materials and can be custom designed to specific size requirements.